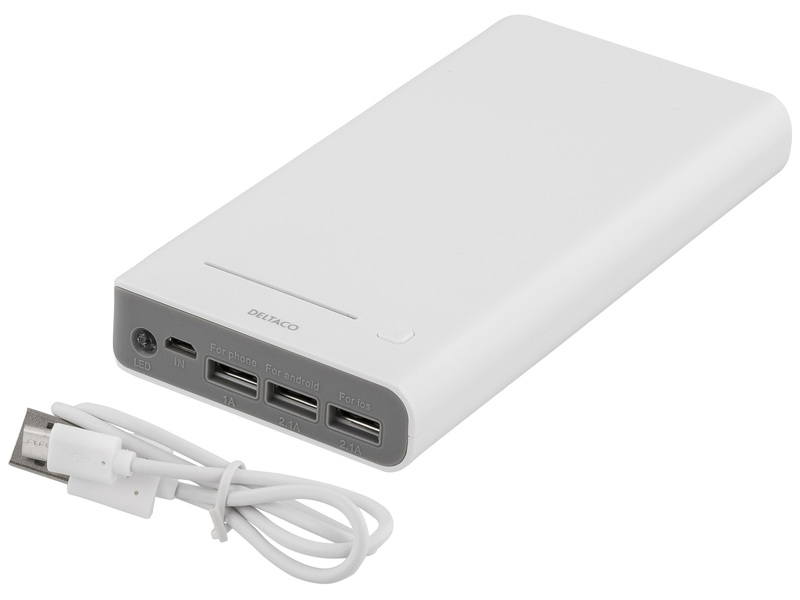 Power bank for charging mobile phones, tablets and other battery powered devices. Can also be used as a power supply for Arduino and Raspberry Pi. One USB-A jack is available for power and one microB for charging the power bank. As an added bonus, the power bank has a built-in LED that can be used as a flashlight.